The Government Blockchain Association Working Groups align with common use cases that governments around the world encounter on a regular basis. In order to help those governments in meeting their missions to serve citizens, GBA Working Groups evaluate needs and develop blockchain recommendations, solutions and publications. Members are strongly encouraged to produce content in the form of blogs, white papers, presentations and other publications. These artifacts may be available to the general public and published on the GBA website. How Do Working Groups Function? In accordance with guidance established by the IEEE, GBA leadership has issued guidelines for how these working groups will operate. Working Group participants will convene on a regular and established cadence via virtual collaboration using the GBA forums, shared documents, traditional communications and, when possible, in-person. Sub groups would be formed to tackle specific issues; for instance, the very broad category of “health care” could easily apply blockchain in over a dozen different types of healthcare use cases. Similarly, supply chain logistics (as a broad category) may be unique in the defense community (specifically) and may need its own analysis and recommendations. Why Should GBA Members Participate? Working Group participation entails an investment of time, commitment, and team work. Members will contribute to the identification, solution, and recommendations of opportunities and projects that align with Government needs and missions. By participating in a Working Group, members will collaborate with other members and may find opportunities to become recognized as thought leaders, advisors, or Subject Matter Experts (SME). To join a Working Group, the member must be a Civil Servant, Profesional Member, or Corporate Member of GBA. The registered member should click the “View Group” link of the group they would like to join in the table below and then click on the “Join Group” button in the Working Group Profile when it loads. Once you are a member of the group, contact the Working Group Leader to learn about the ways they can get involved in Working Group activities. Contract Management The Contract Management Group studies opportunities to use blockchain technologies to improve contract management and payment practices. Cybersecurity Identifies, studies, and develops informative materials to improve the body of technologies, processes and practices to protect information technology assets such as networks, computers, programs and data from hostile attacks, damage or unauthorized access. 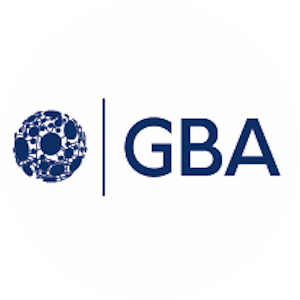 Education and Training The Education and Training Working Group advises GBA staff in the direction and guidance on the long-term education and training goals and objectives of the Association. This Working Group focuses on helping law enforcement and government agencies forensically investigate and monitor illicit cryptocurrency use. Currently, credentials for doctors, nurses and other healthcare providers are maintained in many fragmented and disconnected systems.